Professor Tim Broyd, Chair in Built Environment Foresight at The Bartlett, has been appointed Vice-Chairman of the Construction Industry Council (CIC) for a four-year term. The CIC is the representative forum for the professional bodies, research organisations and specialist business associations in the construction industry. It provides a single voice for professionals in all sectors of the built environment, upholding its mission to serve society by promoting quality and sustainability in the built environment. The CIC has a membership of over 500,000 individual professionals and more than 25,000 firms of construction consultants. Its mission is to strengthen relationships with members and to provide an interface between members and the wider industry and with Parliament and Government. On top of this position, Professor Broyd is a Fellow of the Royal Academy of Engineering, the Institution of Civil Engineers and the Royal Society of Arts, Manufacturers and Commerce. He is also Vice President of the Institution of Civil Engineers, and is scheduled to be president in 2016/17. As Vice-Chair of the CIC, he will help to develop the main policies and strategies of the CIC. 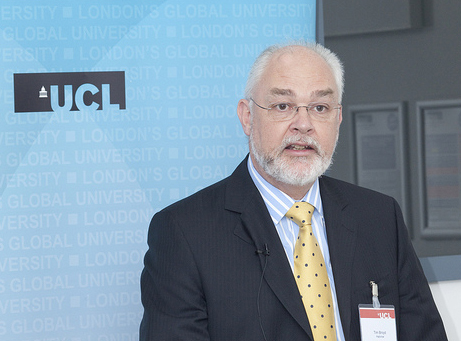 He joined UCL in 2012, and is also an honorary professor in the Department of Civil, Environmental and Geomatic Engineering. As Chair in Built Environment Foresight, Professor Broyd works with leading individuals in industry and government to prepare for the future challenges and opportunities in the built environment field.